With Americans observing this week's anniversary of the Japanese attack on Pearl Harbor, it's appropriate to feature some airchecks made in the wake of the incident that launched the United States into World War II. The first segment is a partial recording of an NBC news roundup of the events of December 8, 1941, 71 years ago today. An unidentified announcer summarizes the Japanese attack on Manila, President Franklin Roosevelt's address to Congress and the subsequent vote to declare war on Japan. 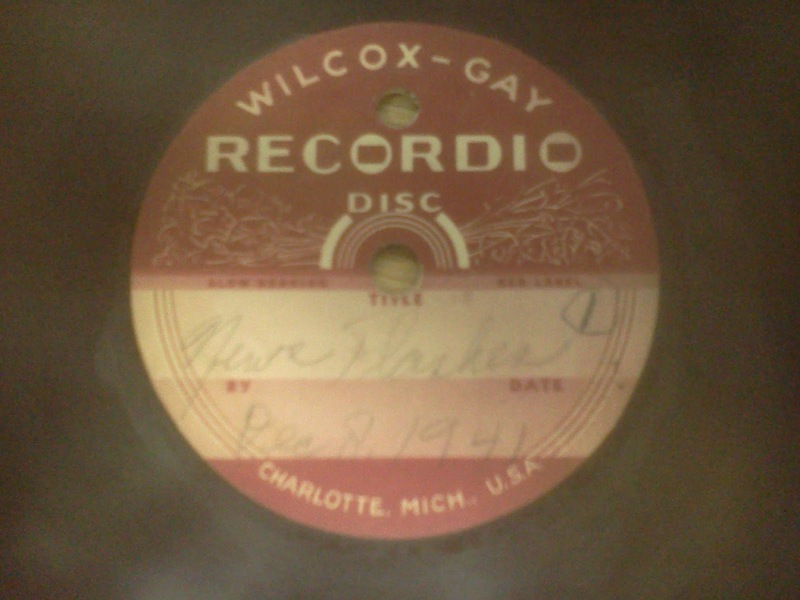 This broadcast, which was captured on a Wilcox-Gay home recording disc and eventually discovered by the editor, appears to have been made in the late afternoon or early evening of December 8th. While it's not clear which NBC affiliate was recorded here, this program was undoubtedly heard in northeast Ohio. WTAM in Cleveland was an affiliate of NBC's Red Network, while WAKR in Akron and WFMJ in Youngstown were affiliates of the Blue Network. 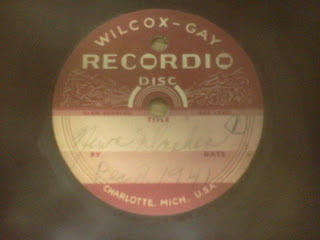 The second aircheck was found on the flip side of the same disc. A different announcer on an unnamed network provides a similar account of December 8th. Any assistance with identifying either announcer or pinning down the time of broadcast would be greatly appreciated by the editor. NEO Airchecks wishes its readers a Happy New Year. Better late than never, right? This time around the blog features Warren, Ohio's WRRO/1440. In this scoped aircheck from circa 1986, Ron Leader is filling in for longtime morning man Ron Fantone. Leader, perhaps best-known to listeners of that era as raucous Saturday night oldies guru "Dr. Rock", presents the same music in a much more relaxed manner here. Midday host Evelyn St. Clair is also heard in commercials for the upcoming Italian-American Heritage Festival. WRRO began life in 1941 as WRRN/1400 before moving to its current dial position by the 1950's. Helen Hart Hurlburt, longtime publisher of Warren's Tribune-Chronicle newspaper, purchased the station in 1948. The call letters were quickly changed to WHHH, a reflection of her initials. When Hurlburt sold WHHH to Warren Broadcasting in 1981, the WRRO calls were implemented, and would remain there until 1998. By the 1990's, the oldies format heard in this aircheck was phased out in favor of news/talk and later still, sports talk. The station went through a few more changes in ownership and call letters before finding its way into the hands of current owner Salem Communications in 2001. Now known as WHKZ, 1440 primarily is a simulcast of WHKW/1220 in Cleveland.